Hello there! Today is an EXTRA SPECIAL day! DeNami Design and Catherine Pooler of Stamp Nation are teaming up for a Sketch Challenge and some FANTASTIC prizes!!! 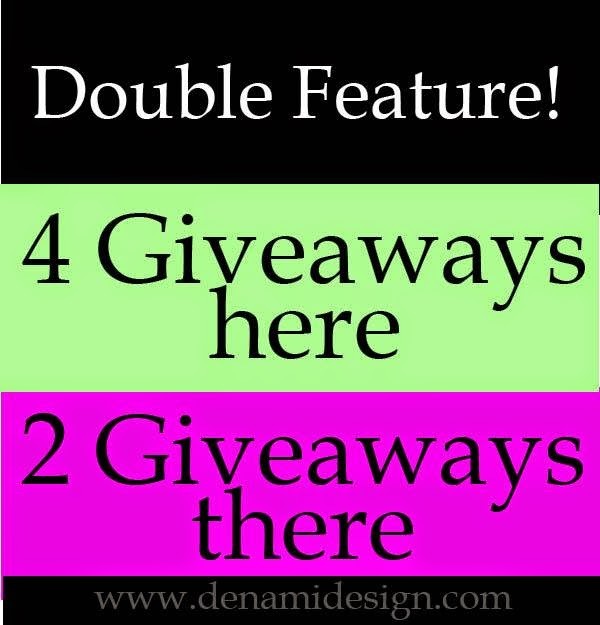 Check out the DeNami Design Blog and Catherine Pooler's Blog for all of the details. We would love to have you join in on the fun! 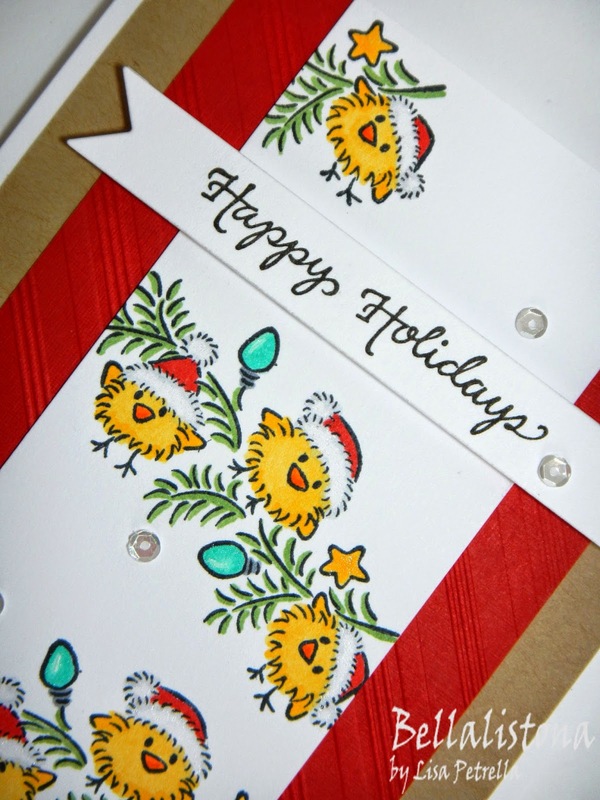 I absolutely ADORE the newly released J153 Chickie Christmas Garland from DeNami Design! Those chickies are just so stinkin' cute in their Santa hats!!! For my focal point, I stamped the image three times, tilting it at a slightly different angle each time and stamping off of the panel to capture just parts of the image at the top and bottom. I added color with markers and some sparkle with a clear Wink Of Stella pen. I LOVE how it shimmers in real life! So festive! I embossed my red cardstock panel with the DA-1218-36 Diagonal Stripe Embossing Folder. The banner was die-cut, stamped with F164 Happy Holidays and then adhered to the card with foam tabs. And of course I couldn't resist adding a few 4mm Sparkling Clear Sequins as a finishing touch. Thanks for stopping by today! 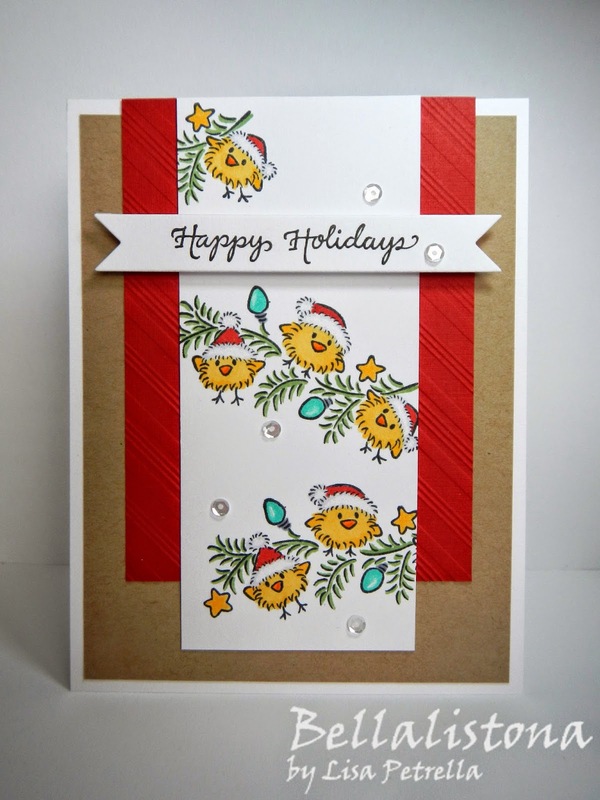 I hope you like my card and feel inspired to play along with this super fun sketch challenge! Can't wait to see what you create! I love them peeking out from the branches! The little Santa hats are darling. Adorable Lisa and a great job with the sketch! !